is 05-4107 now a HO bird ? 05-4086 and 05-4087 have been transfered too ? 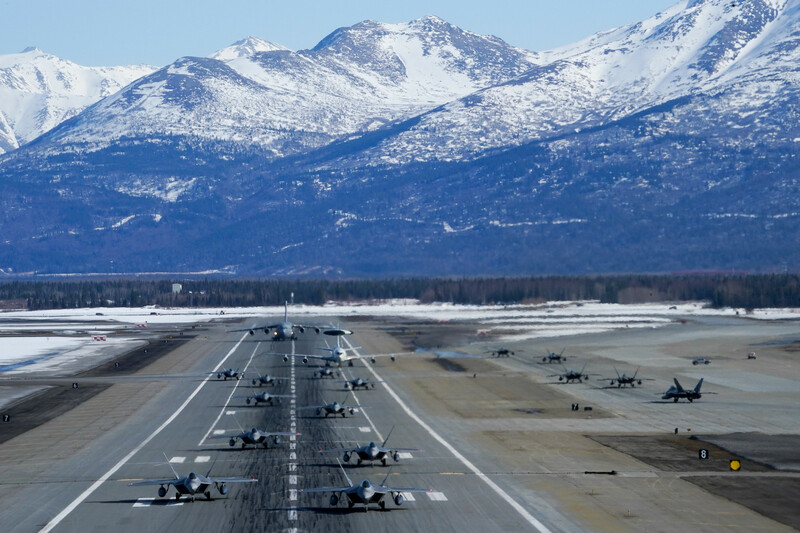 how many birds for HOLLOMAN AFB ? Holloman has about 23 or 24 raptors right now. 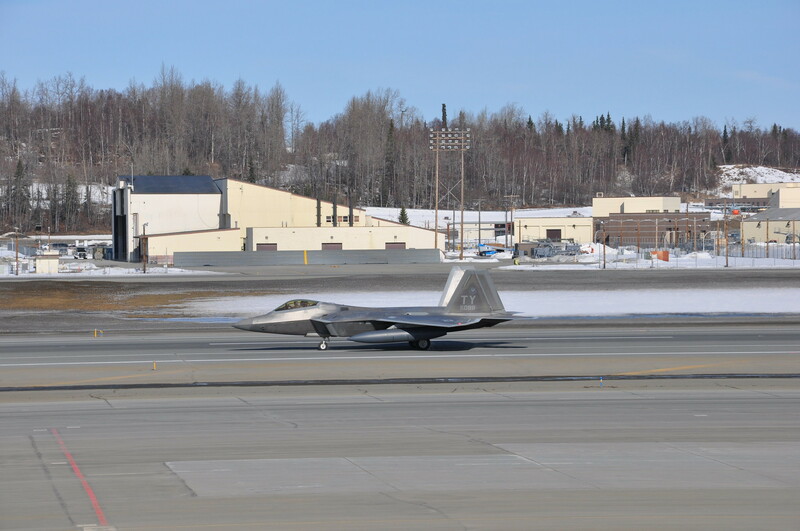 They are receiving F-22's from Langley now as checksixx said and wont be getting any more from Elmo. This is because the new raptors are now going to Langley. This will also be the case for Hickam starting in june 2010. Its all about certain blocks in certain squadrons. For example the 7th FS now has all of their aircraft - these came from Elmo. Now the ones from Langley starting with 077 (8th FS flagship) will be going to the 8th FS. 8th FS will be 60's 70's and a few 80's seriald aircraft. The 7th Has received 80's 90's and 100 serialed aircraft with a few exceptions due to wing kings aka 090 which will be left at Elmo marked 90th FS. 86 and 87 are supposedly going to be Holloman and have been seen there but are still carriying the AK code. 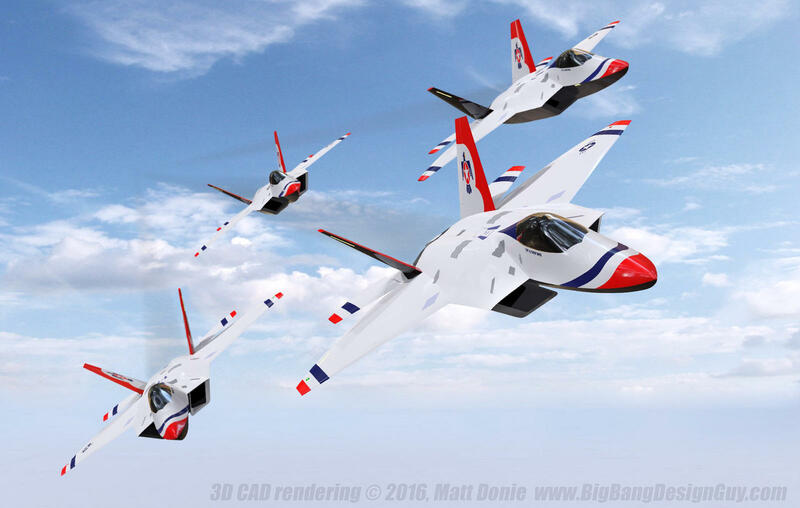 did 8th FS get new RAPTOR ? and is 05-4100 now a HO bird or always AK ? What about updating the opening post, would make things easier!? The 7th and 8th won't be getting any new build jets. They'll receive Blk 20 and 30 jets from Langley and Elmo. The latest lots of Blk 35 (capable) jets are going to 27th & 94th at Langley and the 90th & 525th at Elmo. Thank you thank you thank you EOR!!!! This helps alot!!!! 08-4152, 08-4154, 08-4156 all 94FS. 08-4153, 08-4155, 08-4157 and 08-4159 all 27FS. With thanks to Chris and Bruce. The former '1FW' 05-101 / FF has now been transferred to HO and is carrying 05-101. Does anyone know which Lagley Raptor is now marked as the '1FW' special please? juve57 wrote: and is 05-4100 now a HO bird or always AK ? got this photo of 05-4100 deploying with 7 FS to Kadena. Still wears its 'AK' tailcode. Anyone give us more info. Has this airframe changed hands or on loan? 00-4016 ((former)OT) was seen at Nellis July 19 wearing a TY code. not easy to update RAPTOR database ... because of futur movements !! Anyone know which date the transfer took place? Also, 071 used to be marked '1OG' therefore which airframe now carries these markings please? Another one was final painted this past week and looks like it may be destined for delivery soon. Couldn't catch the tail numbers sorry...I will try if I see it again. I certainly hope that this would not be considered classified info seeing as how the flight path has them nearly landing on top of a public road. 04-4066, which has been at Nellis for the last 2 years marked FF, now has an OT tailcode. 04-4068, which also has been at Nellis for the last 2 years marked FF, now also carries an OT code. 05-4096, also at Nellis for a very extended period marked HO, is now wearing a WA tailcode. Very nice, three updates for me! Anyone got any more updates as terms of brand new airframes? I can only hope and pray that we'll see 14-0053 and similar BuNos in the near future. 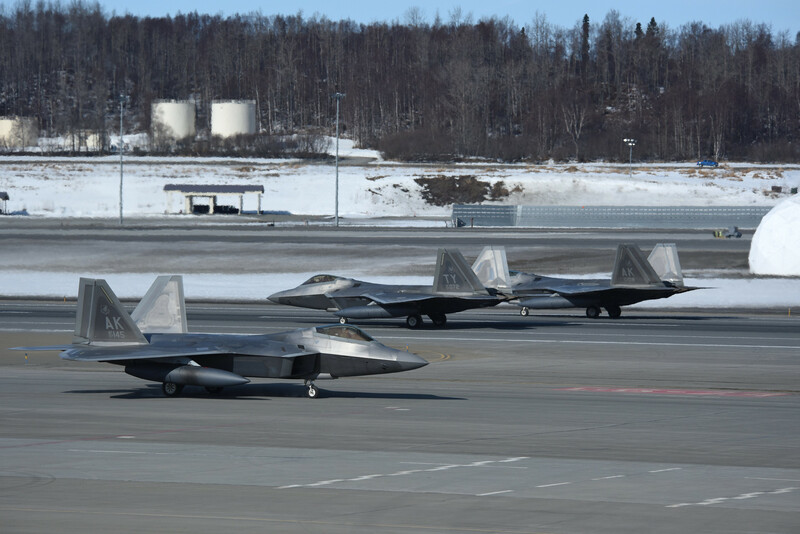 Yesterday, 1OG was confirmed as 4185 and 1FW confirmed as 4162.
raameagle wrote: Yesterday, 1OG was confirmed as 4185 and 1FW confirmed as 4162. Here's a couple shots of the 1st FW Flagship 08-162. I checked 27FS yesterday and it is 09-172.
raameagle wrote: I checked 27FS yesterday and it is 09-172. Here's a nice clear shot of the 27th flagship 09-172 with the NASA Langley Research Hangar in the background. This is the only pic I could find of 09-185 Of course it's before it received it's paint job. I'm sure I've seen this jet flying around , just not close enough to see it's markings. Jon wrote: I have updated all the DD250 dates in the serial database. I'm going through my records again to see if any are missing. Excellent question regarding difference between DD-250 acceptance and the traditional AF receiving inspection. Normally, as you may know, the AF receiving unit would normally perform a very extensive receiving inspection. Due to the problems that would entail in disturbing finishes, a different approach was devised. 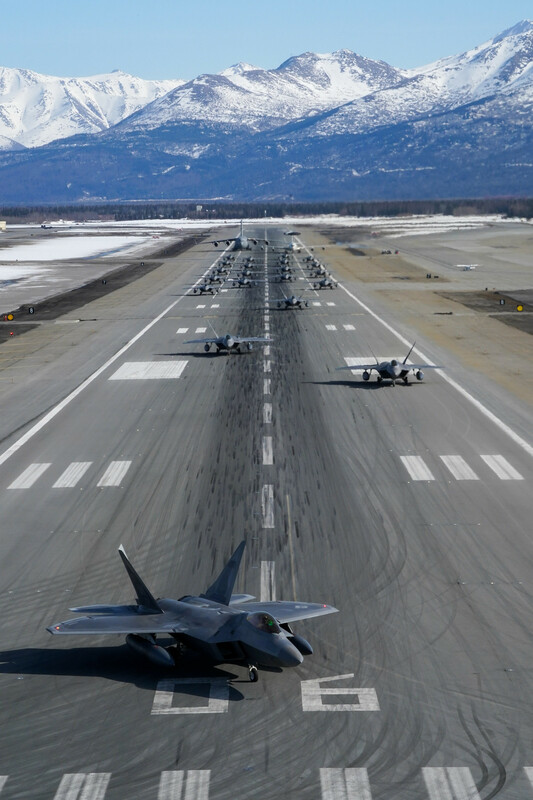 An AF acceptance team was co-located with the Defense Contract Management Commands F-22 team. The AF Team and DCMA team worked out plans as to who would inspect what. They teamed together with the AF members performing most of the final inspections on many areas just prior to final closure. In some cases each would defer to the other depending upon the area and situation. 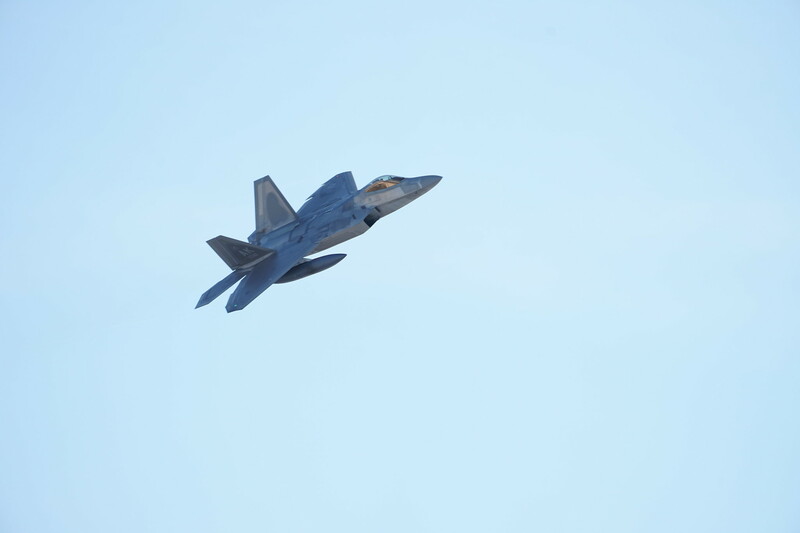 Flight acceptance was normally performed by an AF test pilot assigned to DCMA. As needed, others were borrowed when the schedule was heavy. The DD-250 was the official US Govt acceptance and transferred ownership of the jet to the Govt and allowed for final payment. Upon delivery to the unit, all that was necessary was the normal post-flight inspection and the bird was ready to go. Many arrived and were Coded Code 1. Ready to fly. This saved millions over the duration of the program. 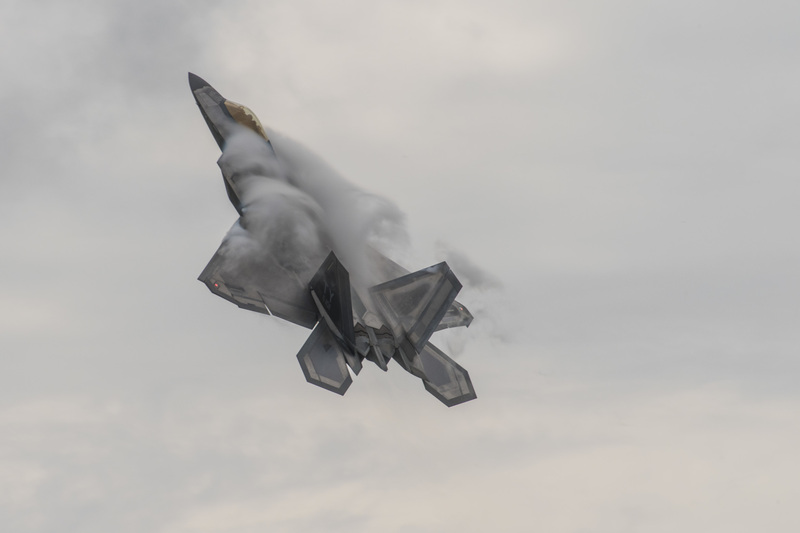 Just a nice photo of Langley's 187 slicing through the clouds during the recent 2015 USAF Heritage Flight Training and Certification at DM AFB. The image captures the moment either during the abrupt pull over at takeoff or at the beginning of the Power Loop. So to me that sounds like the aircraft on DD250 are pretty much squadron ready. Which makes sense now that aircraft arrive at the squadron shortly after in most cases. That wasn't the case years ago. 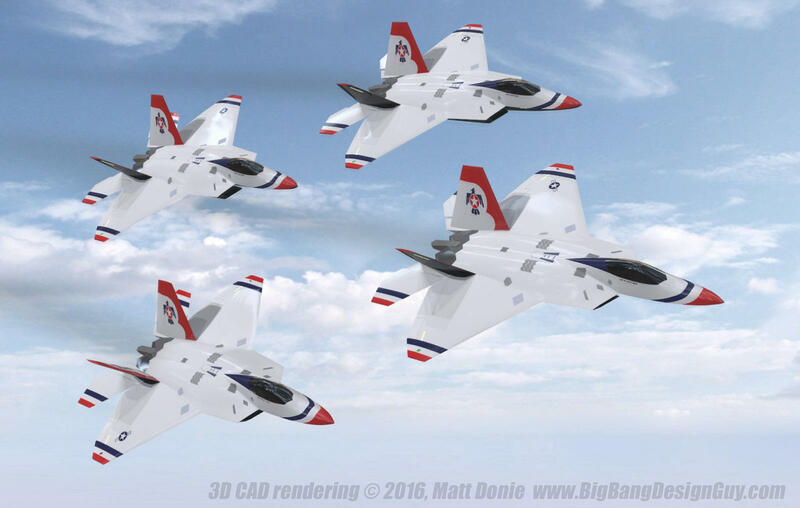 BTW, working on getting all the DD250 dates for the F-35 program. funny you asked now. I just saw WA 99-4011 for the first time in 2 years at Nellis yesterday on the ramp. flew today. Have you seen 120 recently? I have it last noted n August 2013. 120 I last saw fly in July 2014. could be here,in rehab, or it could be at Edwards. 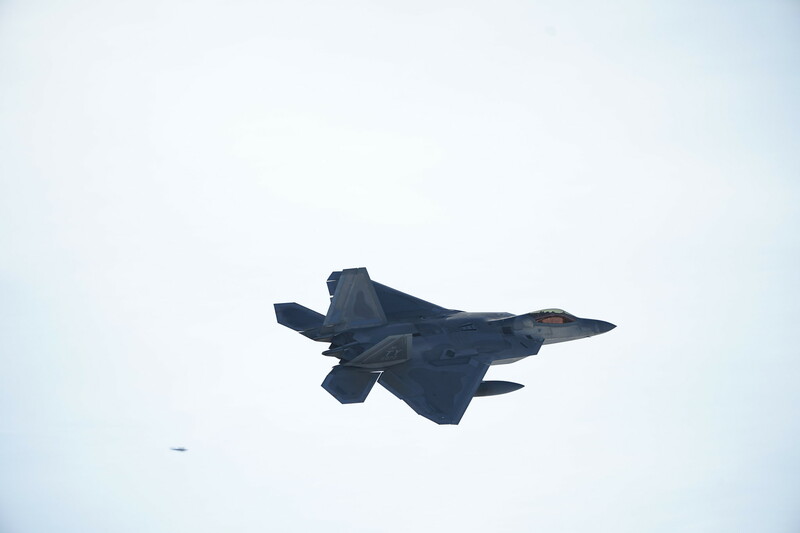 sometimes a couple Nellis raptors will spend a lot of time there. it's not that unusual for planes to disappear for extended times around here. 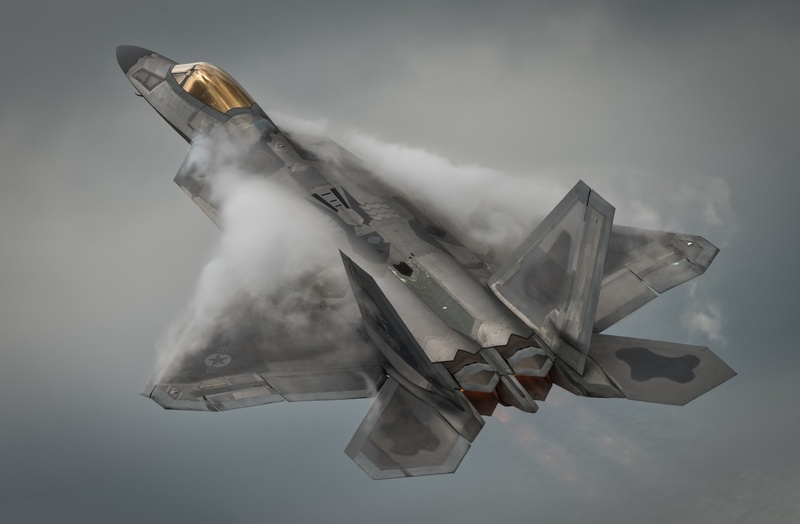 Just a nice photo of an unknown F-22 (possibly a Bulldog) leaving the Speedline circa 2016 and creating its own weather. 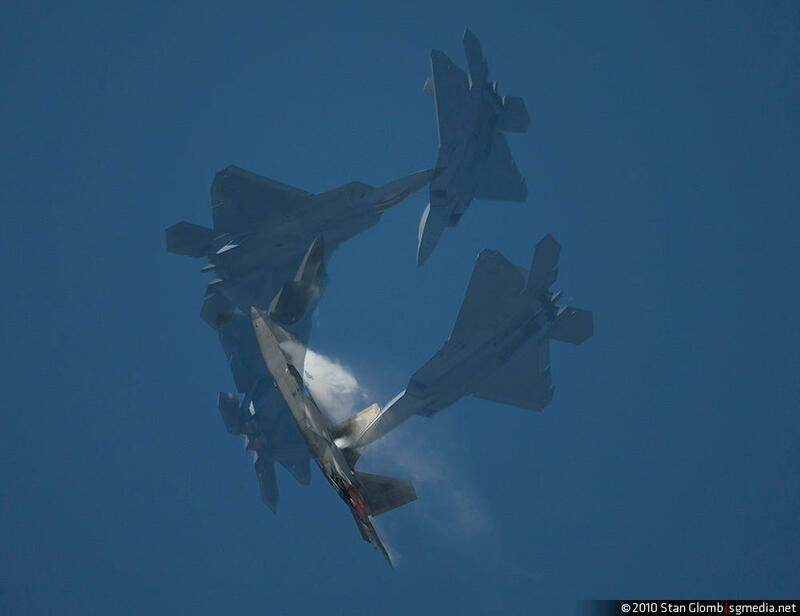 F-22 Demo Team bringing in the crowds during the recently held FIDAE in Chile (FF 187 used).